Barbara Herbert, Countess of Powis (24 June 1735 – 12 March 1786), was the wife of General Henry Herbert, 1st Earl of Powis, and the mother of George Herbert, 2nd Earl of Powis. Barbara was a descendant of Lady Anne (Parr) Herbert, Countess of Pembroke. 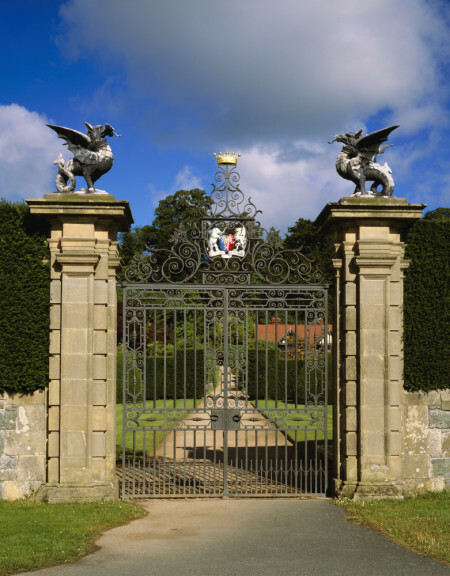 Through her daughter, Lady Henrietta, the Earldom of Powis descended to her son-in-law. Barbara’s father, Lord Edward Herbert, was a younger son of William Herbert, 2nd Marquess of Powis; he married Lady Henrietta Waldegrave, but died only a few months after the wedding, in 1734. Barbara was born three months after her father’s death, and was fifteen when she married Henry Herbert on 30 March 1751; Henry was in his late forties. Henry was descended from Richard Herbert, 2nd Baron Herbert of Chirbury, and was created Earl of Powis in 1748, following the death without heirs of William Herbert, 3rd Marquess of Powis. George Edward Henry Arthur Herbert, 2nd Earl of Powis (1755-1801), who died unmarried. Lady Henrietta Antonia Herbert (1758-1830), who married Edward Clive, later created Earl of Powis, and had children. In 1771, shortly before the earl’s death, the family seat at Oakly Park was sold to Robert Clive, 1st Baron Clive, and they moved permanently to Powis Castle. A portrait of Barbara by an unknown artist, dated to approximately 1750, is held at Powis Castle, in the care of the National Trust. Mosley, Charles, editor. Burke’s Peerage, Baronetage & Knightage, 107th edition, 3 volumes. Wilmington, Delaware, U.S.A.: Burke’s Peerage (Genealogical Books) Ltd, 2003. “No. 8744”. The London Gazette. 10 May 1748. p. 4. 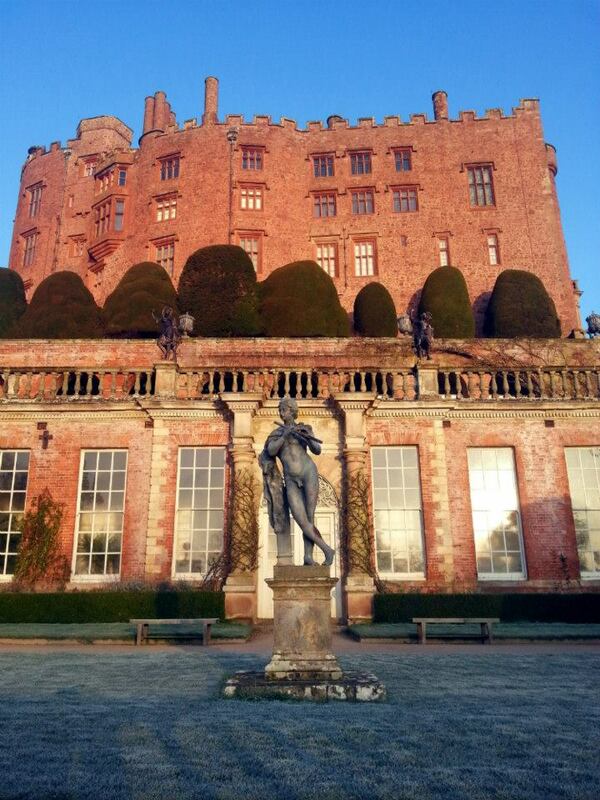 Powis Castle, Powys. The National Trust. 1996. p. 58. Powis Castle guidebook. “Called Barbara Herbert, Countess of Powis (1735-1786)”. National Trust Collections. Retrieved 22 January 2018. Violet Ida Eveline Herbert, Countess of Powis and 16th Baroness Darcy de Knayth (1 June 1865 – 29 April 1929) was a British peeress. Hon. Violet Lane-Fox was the youngest child of the Sackville George Lane-Fox, 12th Baron Conyers, 15th Baron Darcy de Knayth, and his wife, Mary Curteis. Her sister, Hon. 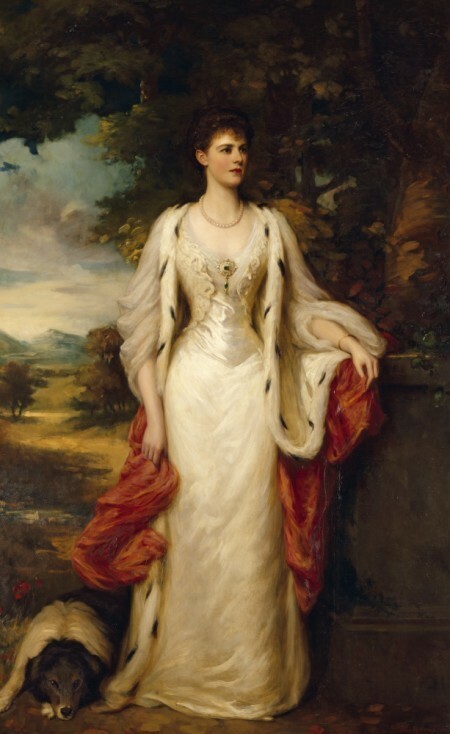 Marcia Lane-Fox, became the Countess of Yarborough, and her brother, Hon. Sackville Fitzroy Henry Lane-Fox, died at age 18 at Durban, South Africa, unmarried. Her paternal grandparents were Sackville Walter Lane-Fox and Lady Charlotte Mary Anne Georgiana Osborne (daughter of George Osborne, 6th Duke of Leeds). 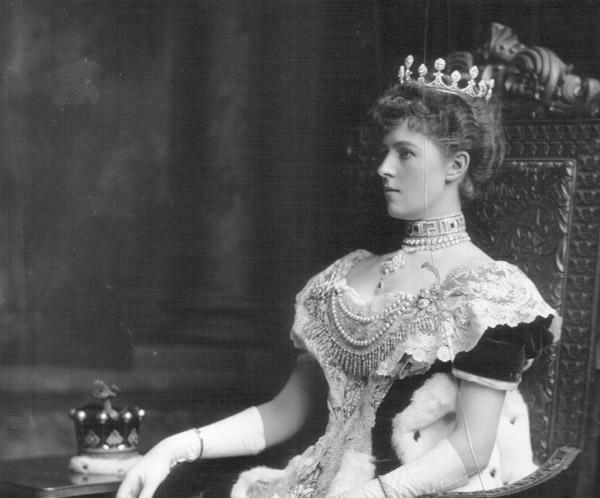 The Countess of Powis at the coronation of Edward VII in 1902. On 21 August 1890, she married George Herbert (who succeeded his uncle as Earl of Powis six months later) at St George’s, Hanover Square, London, England. As the wife of the 4th Earl of Powis, Violet persuaded her husband to entrust the entire management of the deteriorating gardens at Powis Castle to her in 1911. 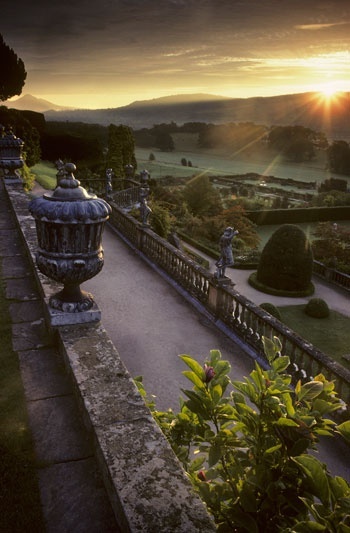 Over the next 18 years, she effectively recreated the gardens of Powis into the internationally renowned form that they have today. Powis Castle Gardens by Andrew Lawson. Percy Robert Herbert, Viscount Clive (1892–1916), killed at the Somme. Hon. Hermione Gwladys (1900 – 1995), married Roberto Lucchesi-Palli, 11th Duke della Grazia and 13th Prince di Campofranco. They had one daughter. Hon. Mervyn Horatio Herbert, Viscount Clive, 17th Baron Darcy de Knayth (1904–1943), father of Davina Ingrams, 18th Baroness Darcy de Knayth. In 1888, the countess’s father died and the Baronies of Darcy de Knayth and Conyers fell into abeyance between his two daughters. On 8 June 1892, the abeyance of the Barony of Conyers was terminated in favour of Violet’s elder sister, the Countess of Yarborough. 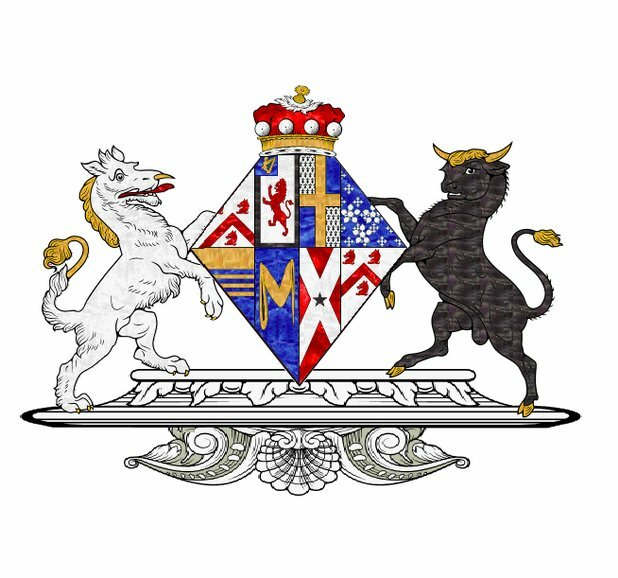 Eleven years later, on 29 September 1903, the Barony of Fauconberg (a title which had been in abeyance since the death of the last holder, the 6th Baroness Fauconberg in 1490), was also granted to the Countess. On the same date, The House of Lords also agreed that their father had held the barony of Darcy de Knayth, which was granted to Violet in her own right. The countess died in 1929, aged 63, in a motorcar accient, and was buried in the churchyard of Christ Church, Welshpool. Her title passed to her eldest surviving son, Mervyn. From Hon. 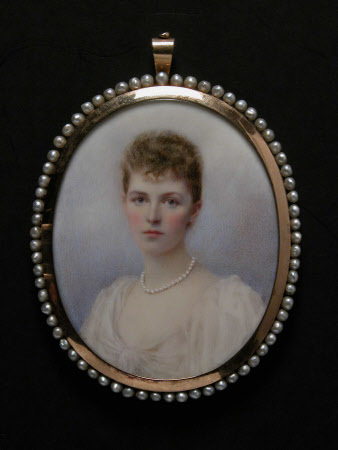 Maud Vaux, daughter of Sir Nicholas Vaux, 1st Baron Vaux of Harrowden and his second wife, Anne Green; maternal aunt of Queen Katherine Parr and thus Lady Anne Herbert, Countess of Pembroke from which Lady Powis’s husband descended. Lady Powis also descended several times from Edward III via his sons Lionel of Antwerp, 1st Duke of Clarence and John of Gaunt, 1st Duke of Lancaster. She even descended from Katherine Parr’s step-son, John, 4th Lord Latimer and his wife Lady Lucy Somerset. She descended from Katherine Parr’s friend and guardian of her daughter, Lady Katherine Willoughby, the Dowager Duchess of Suffolk by her second husband. From her ancestor Robert Darcy, 4th Earl of Holderness she was a descendant of Princess Elizabeth Stuart, Queen of Bohemia; daughter of King James I of England and wife Anne of Denmark [and thus a descendant of Henry VII by his eldest daughter Margaret Tudor, Queen of Scots]. Lady Powis also descended from Lady Henrietta Churchill, 2nd Duchess of Marlborough, niece of Arabella Churchill, Royal Mistress to James II of Great Britain. ^ a b c Charles Mosley, editor, Burke’s Peerage, Baronetage & Knightage, 107th edition, 3 volumes (Wilmington, Delaware, U.S.A.: Burke’s Peerage (Genealogical Books) Ltd, 2003), volume 1, page 1029. ^ Henry Robert Addison, Charles Henry Oakes, William John Lawson, Douglas Brooke Wheelton Sladen. Who’s Who,” A. & C. Black, 1907. Lady Anne Herbert [Parr], Countess of Pembroke, Baroness Herbert of Cardiff (15 June 1515 – 20 February 1552) was a noblewoman and the younger sister of Queen Katherine Parr, the sixth and last wife of King Henry VIII. Anne is one of the few Tudor women to boast the fact that she was a lady-in-waiting to each of Henry’s six wives. Anne had an older brother, Sir William Parr, who among other creations, became Earl of Essex and 1st Marquess of Northampton. William was an influential man during the late reign of Henry VIII and that of Edward VI. Northampton was known as “the King’s uncle.” Northampton would also go on to become a loyal friend and ally of Queen Elizabeth I. Anne’s husband, Lord Pembroke, was also one of the most influential men during the reign of Edward VI and was rewarded with the title of 1st Earl of Pembroke. Anne Parr was born on 15 June 1515 to Sir Thomas Parr of Kendal and Dame Maud Green, co-heiress of Sir Thomas Green, Lord of Greens Norton. She was the youngest surviving child of five; having an older sister Katherine, later Queen of England and Ireland, her brother William, and two other siblings. The first baby born to Anne’s mother was a boy. He died shortly after and Maud did not have another child until the birth of Katherine in 1512. In 1517, when she was two years old, her father died of the sweating sickness leaving her mother a widow, pregnant at twenty-five, and with the grave responsibility of guarding the inheritance of the Parr children. It is not certain what happened to Maud’s baby but it did not survive. 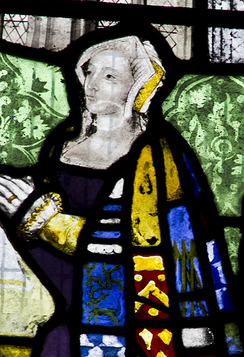 Maud, Lady Parr was a maid-of-honour and good friend to Queen consort Katherine of Aragon. She was also apparently head of the Royal school at court where Anne was educated alongside her sister Katherine and other daughters of the nobility. Anne would have been taught French, Latin, philosophy, theology, and the Classics. Lady Parr had already taught her children to read and write when they were small. Anne herself later said that her education at home was based on the approach used in the family of Sir Thomas More where the boys and girls were educated together; as was the case with the Parr’s until her brother left home in 1525 to join the household of Henry Fitzroy, Duke of Richmond; the recognized natural son of King Henry by his mistress Elizabeth Blount, a lady-in-waiting to the Queen. Sometime in 1528, Lady Parr secured her 13 year-old daughter, Anne, a post at Court as maid-of-honour to Queen Katherine of Aragon. Anne was then made a ward of King Henry. When Anne Boleyn was crowned queen in 1533, Anne Parr continued in the same capacity as maid-of-honour. She quickly succumbed to the spell of Queen Anne’s charismatic personality and following the Queen’s example, she became an ardent supporter of the New Faith. After Anne Boleyn’s fall from power and subsequent execution, Anne remained at Court in the service of the new queen, Jane Seymour. She was one of the few present at the baptism of Prince Edward on 15 October 1537 and was part of the funeral cortege of Jane Seymour. 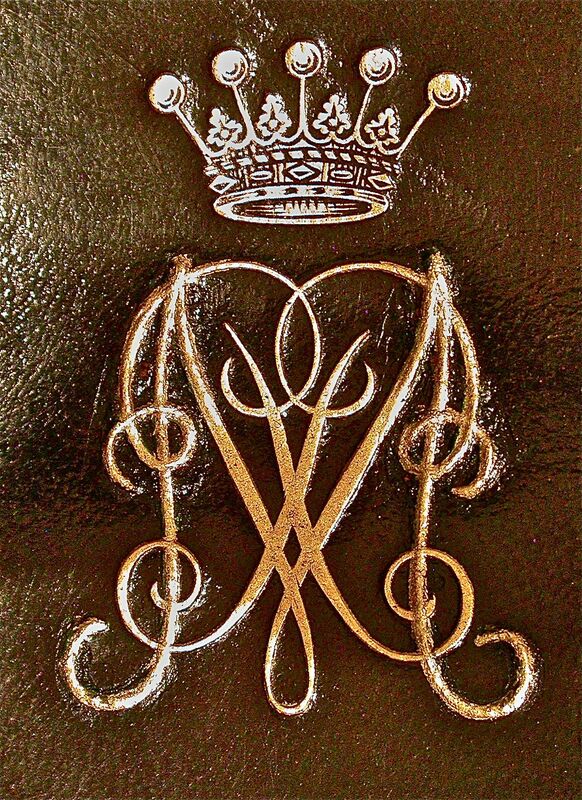 Some sources state that Anne carried the train of the Lady Elizabeth at Prince Edward’s baptism, while others believe it was Lady Herbert ‘of Troye’, wife of her future husband’s paternal half-uncle, Sir William Herbert, son of the 1st Earl of Pembroke of the eighth creation. When King Henry took as his fourth wife Anne of Cleves, Anne returned to her role as maid-of-honour, which she remained in when Queen Anne was supplanted by Katherine Howard. Following Queen Katherine’s arrest for adultery, Anne Parr was entrusted with the Queen’s jewels. In February 1538, Anne married Sir William Herbert (c.1501-17 March 1570), Esquire of the King’s Body. Herbert was the son of Sir Richard Herbert of Ewyas, the illegitimate son of William Herbert, 1st Earl of Pembroke [of the before mentioned]. It is without a doubt that Anne met her husband at court. It is not known whether or not the marriage was a love match or not, but it is interesting to note that both Anne and her sister Katherine had been attracted to dashing men of action who were slightly disreputable. The Herbert’s, due to King Henry’s newly found infatuation for Anne’s sister Katherine, appeared to be in the King’s favour; as for the next few years Anne and her husband received a succession of Royal grants which included the Abbey of Wilton in Wiltshire (pulled down and built over for Wilton House in the 1540s), Remesbury (north Wiltshire), and Cardiff Castle. They also used Baynard’s Castle as their London residence. Anne had three children by her husband: Henry, who succeeded his father; Edward Herbert; and Anne Herbert. Anne was a witness to the wedding ceremony performed at Hampton Court Palace on 12 July 1543, when King Henry married her sister Katherine, the Dowager Lady Latimer. 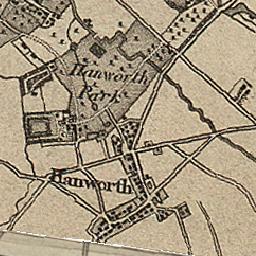 In June 1544, the Queen lent her sister her manor, Hanworth for the lying-in for her second child. It was there that Anne gave birth to another son, Edward (his elder brother was named Henry, was this a coincidence?). The Queen sent regular messengers to Hanworth to inquire on the health of her sister. For the christening, the queen provided a large delegation (five yeo-men, two grooms, and Henry Webbe) from her household to attend. Letters continued well into July between the two sisters while Anne remained at Hanworth. After the birth, Anne visited Lady Hertford, who had also just given birth, at Syon House near Richmond. In August 1544, the queen paid for a barge to bring Anne by river from Syon House (home to the Hertford’s) to Westminster. The queen’s involvement in the birth and christening of her nephew would eventually lead her to take him in as part of her household after the death of King Henry. In September 1544, William Herbert was knighted on the battlefield at the Siege of Boulogne during the King’s campaign against the French. Anne, now Lady Herbert, was her sister’s principal lady-in-waiting and the sisters were close. Anne was also part of the circle of Protestants who surrounded the new Queen. In 1546, fellow Protestant Anne Askew was arrested for heresy. Those who opposed the Queen tried to gain a confession from Askew that the Queen, her sister, and the other women were Protestants. Queen Katherine and some of her closest friends had previously shown favour to the arrested woman. Bishop Stephen Gardiner, Thomas Wriothesley, and Sir Richard Rich were involved in torturing Anne Askew and interrogating her about her supposed connections to the ladies at court who were suspected to be Protestants. Askew was asked particularly about the Queen, her sister Lady Herbert, the Duchess of Suffolk [Katherine Willoughby], Lady Hertford [Anne Stanhope, wife of Edward, later Lord Protector], and the Countess of Sussex [Anne Calthorpe]. Gardiner and Wriothesley obtained the King’s permission to arrest and question the Queen about her religious beliefs. 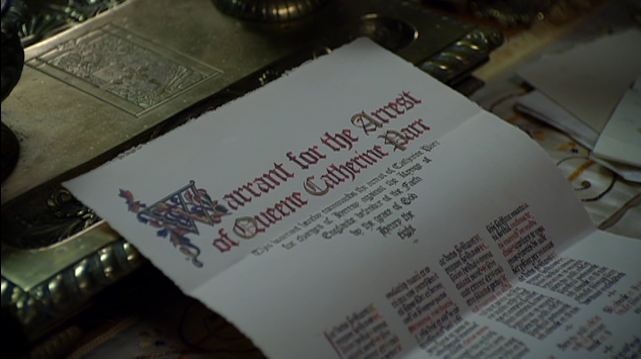 Luckily Katherine intercepted the warrant and/or was warned by the King’s doctor that she was to be arrested and questioned. Katherine visited the King in his bedchamber and adroitly managed to persuade the King that her interest in the new religion had been undertaken solely as a means to provide stimulating conversation to distract the King from the pain caused by his ulcerous leg. 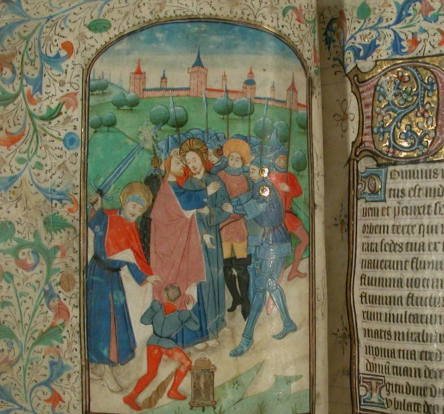 Henry was appeased, and before the arrests were due to take place, he was reconciled to Katherine. Wriothesley, who had not been informed of the reconciliation, came for the queen while the King was with her. The King burst into an angry fit calling Wriothesley names such as “Knave”, etc. Katherine had escaped the wrath of the King and on 28 January 1547, the King died leaving Katherine the Dowager Queen. After Henry VIII’s death, when the queen dowager’s household was at Chelsea, both Anne and her son Edward were part of the household there. The Dowager queen, as always, was keen to have her family close to her. Anne’s husband, William Herbert was appointed as one of the guardians to the new king, Edward VI. Katherine shortly afterward married Thomas Seymour, Lord of Sudeley, Lord High Admiral of England, who was an uncle of King Edward. In September 1548, following the birth of a daughter, Lady Mary Seymour [named after the queen’s step-daughter], Katherine Parr died of puerperal fever. On 10 October 1551, Anne’s husband was raised to the peerage as Baron Herbert of Cardiff and Earl of Pembroke on 11 October 1551. He received the disgraced Duke of Somerset’s Wiltshire estates, including Ramsbury and a newly built mansion at Bedwin Broil, and much woodland on the borders of the New Forest in 1553. The relationship between the Herbert’s and Edward Seymour had been one of friendship until Seymour fell from favour. Herbert was also granted, one Sir Thomas Arundel’s attainder, Wardour Castle and park, and obtained some property belonging to the see of Winchester. The Wardour property subsequently reverted to the Arundel family by exchange and purchase, but Pembroke’s increase of wealth exceeded that of any of his colleagues. 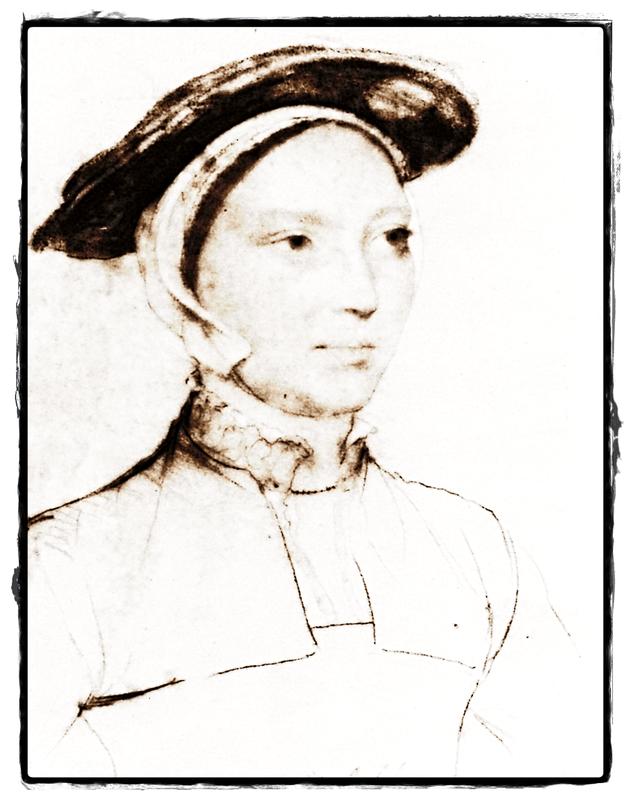 Anne died on 20 February 1552 at Baynard’s Castle in London. At the time of her death, Anne was one of Lady Mary Tudor’s [the future Queen Mary I] ladies. William married as his second wife Lady Anne Talbot, daughter of George Talbot, 4th Earl of Shrewsbury and Elizabeth Walden, but the marriage produced no children. Anne was buried with huge pomp in St. Paul’s Cathedral in London next to her ancestor John of Gaunt, 1st Duke of Lancaster on 28 February 1552. Her husband died on 17 March 1570 and by his wishes was also buried in St. Paul’s Cathedral. Her memorial there reads: “a most faithful wife, a woman of the greatest piety and discretion” and “Her banners were set up over her arms set on divers pillars.“ Pembroke obviously loved his wife for when he wrote his will, despite being married again, he wanted nothing more than to be buried “near the place where Anne my late wife doth lie buried” in St. Paul’s. Monument of William Herbert, 1st Earl of Pembroke and his first wife Lady Anne (Parr), in old St Paul’s Cathedral, City of London, 1656. Artist: Wenceslaus Hollar. 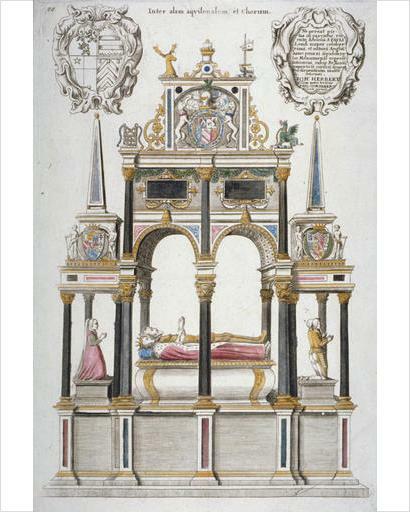 the tomb on a tall base on which lie a man and wife, in ermine robes, heads to left; eleven columns support a double arch above and obelisk topped extensions at the sides; two cartouches at top, to the left with coat of arms and to the right with dedication by ‘Ioh Herbert’. 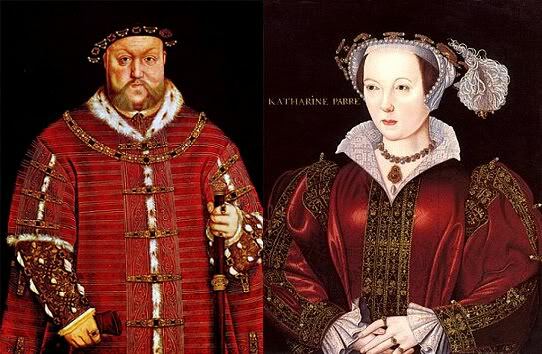 On 25 May 1553, he married Lady Katherine Grey (1540-1568), granddaughter of Mary Tudor, Dowager Queen of France. 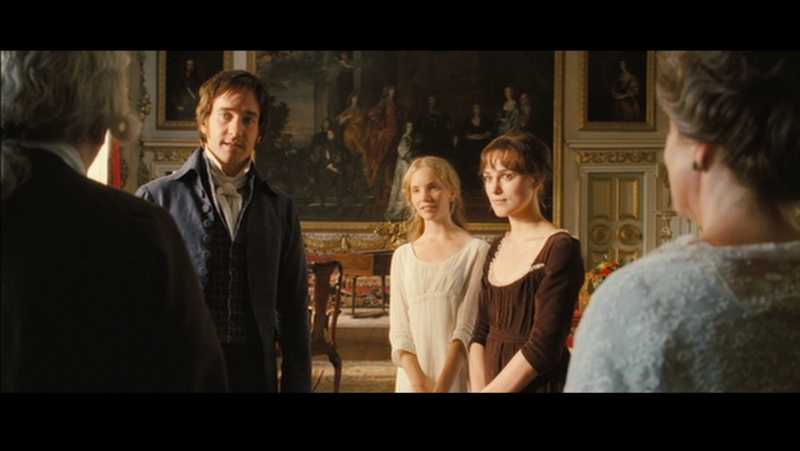 On the same day, her sister Lady Jane married Lord Guildford Dudley. The two couples were married at Durham House in London. After the wedding, Katherine went to live with her husband at Baynard’s Castle on the Thames. When Lord Herbert’s sister-in-law, Jane, failed to ascend to the throne of England due to a lack of popular support, the Earl of Pembroke sought to distance himself from the Grey family. Pembroke separated his son from Katherine and sought the annulment of the marriage. With this smart move, Pembroke secured Queen Mary’s favour and the marriage was annulled in 1554. His second wife was Lady Catherine Talbot (c.1552-1575) [a favorite of Queen Elizabeth], daughter of George Talbot, 6th Earl of Shrewsbury and Lady Gertrude Manners. Catherine was the sister of Lord Francis Talbot who married his younger sister, Lady Anne. 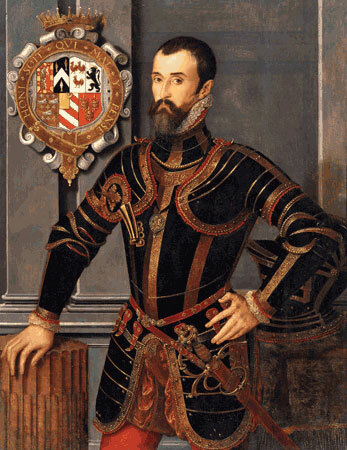 His third wife was Mary Sidney, daughter of Sir Henry Sidney and Lady Mary Dudley, daughter of the executed John Dudley, Duke of Northumberland. By her, the couple had children including William [3rd Earl] and Philip [4th Earl], both of whom would accede to the Earldom of Pembroke. 3. Lady Anne Herbert (1550-1592), married Francis, Lord Talbot, son of George Talbot, 6th Earl of Shrewsbury and Lady Gertrude Manners. There is no known issue from this marriage. William Herbert’s career started after a recommendation from King Francis I of France. He shortly became esquire of the body to King Henry VIII. Two years later he was granted arms. 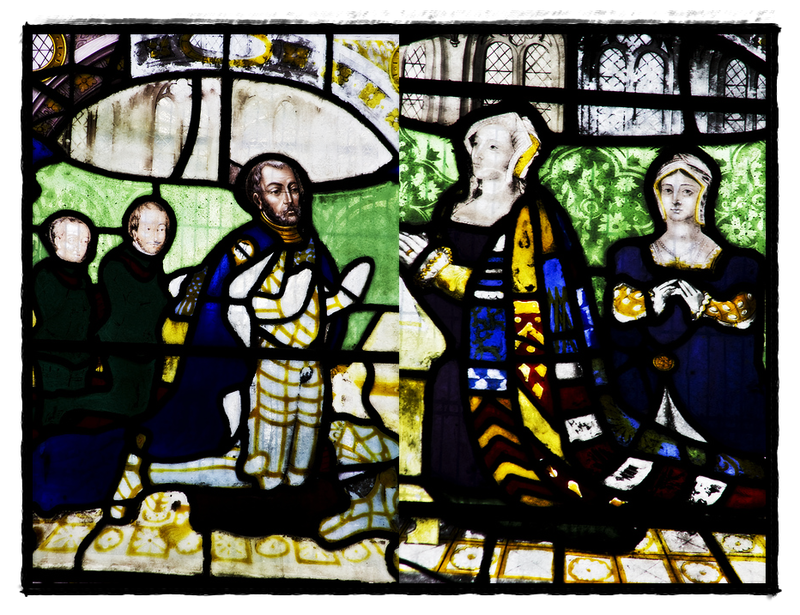 The year before Katherine Parr married the king, grants and advancement started for Herbert and his wife. The first grants dated March and April, 1542, include the site of the late monastery, the manor of Washerne adjoining also the manors of Chalke. 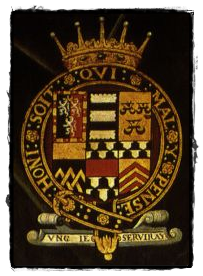 These were given to “William Herbert, Esquire and Anne his wife for the term of their lives with certain reserved rents to King Henry VIII.“ When Edward VI re-granted the manors to the family, it was explicitly “to the aforenamed Earl, by the name of Sir William Herbert, knight, and the Lady Anne his wife and the heirs male of their bodies between them lawfully begotten.“ Anne had been the joint creator of this extraordinary enterprise. Lady Anne had brought legitimacy to the Herberts. Anne also gave the family grace and courage. Through her sons, Anne Parr has many descendants, including the Earls of Pembroke, Earls of Montgomery, and the Earls of Carnarvon. 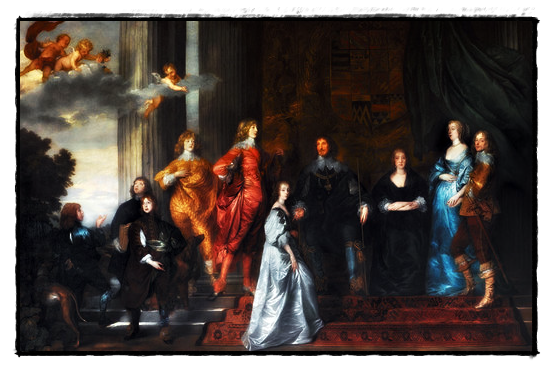 Philip Herbert, 4th Earl of Pembroke with his family by Anthony van Dyck. 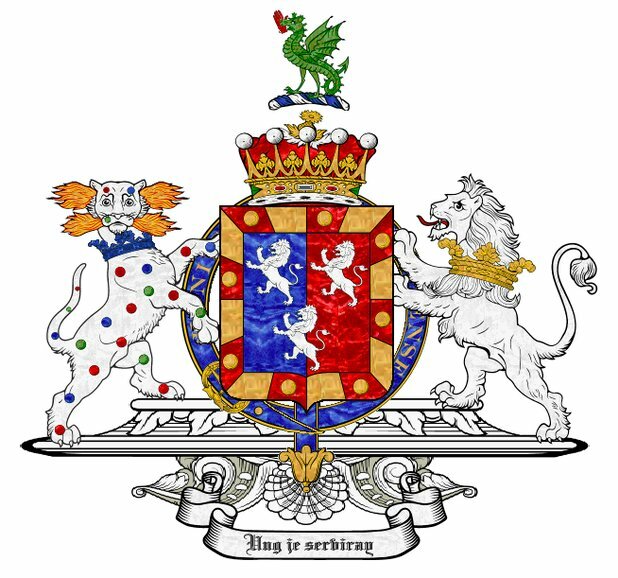 Notice the coat of arms above them which continue to incorporate Anne’s lineage. The painting is on display in Wilton House. Several of the homes of her descendants have been used in movies and major television shows. In 2005, Wilton House substituted for “Pemberley”, home to Mr. Darcy in “Pride & Prejudice” (starring Keira Knightley and Matthew MacFayden). 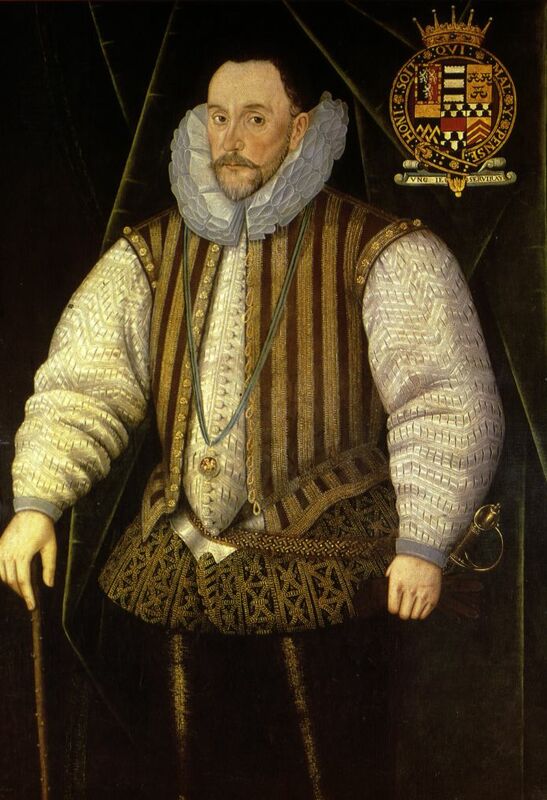 The impressive portrait by Van Dyke, of the 4th Earl of Pembroke [grandson of the 1st Earl and Lady Anne] and his family, was most likely painted at their home in London, Durham House. It is the largest canvas which upon Van Dyke has ever painted, measuring 17×11 feet. A great deal of care went into transferring the painting to their estate in Wilton once the double cube room was finished being renovated by Inigo Jones. The popular BBC/PBS series “Downton Abbey” is filmed at Highclere Castle in Hampshire where Anne’s descendants, the Earls of Carnarvon, have been seated since 1793. In 1684, the castle came into the possession of the Herbert’s through the marriage of Margaret Sawyer of Highclere to the 8th Earl of Pembroke; their second son Robert inherited the castle but died without issue. Robert’s nephew and heir, Henry Herbert, inherited the castle in 1769. Henry was created 1st Earl of Carnarvon in 1793 by King George III. 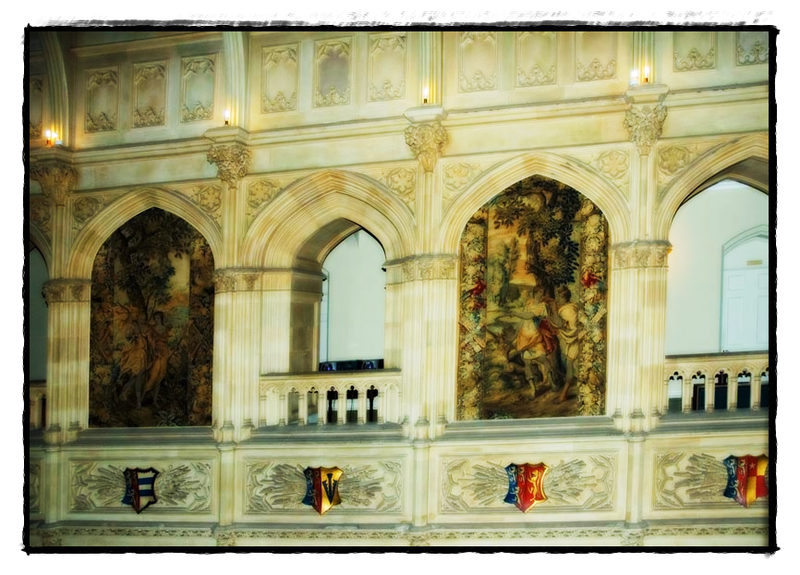 Saloon of Highclere Castle which features the coat of arms of the lineage of the Carnarvon branch of the Herbert family, from the 1st Earl of Pembroke; the first one on the left is that of William, 1st Earl of Pembroke and Anne Parr. ^ a b c d e f Linda Porter. Katherine the Queen. Macmillan, 2010. ^ a b c Dictionary of National Biography. Vol XXVI. Sidney Lee, Ed. London: Smith, Elder, & Co., 1891. 220-223. ^ George Edward Cokayne, The Complete Peerage of England, Scotland, Ireland, Great Britain, and the United Kingdom, Vol. X, p. 643. ^ Douglas Richardson, Plantagenet Ancestry, p. 565. ^ a b c d e f g h i j k The Lineage and Ancestry of H.R.H. Prince Charles, Prince of Wales, by Gerald Paget, Vol. I, p. 95. ^ The Family Chronicle of Richard Fogge, Archaelogica Cantiana, Vol 5, 1863. Chapman, Hester, Two Tudor Portraits: Henry Howard, Earl of Surrey and Lady Katherine Grey, Jonathan Cape 1960. pg 165; 166-167; 169. Susan James. “Catherine Parr: Henry VIII’s Last Love,”The History Press, 2009. pg 275-76. Sir Nevile Rodwell Wilkinson. ”Wilton House Guide: A Handbook for Visitors,” Chiswick Press, 1908. pg 80. 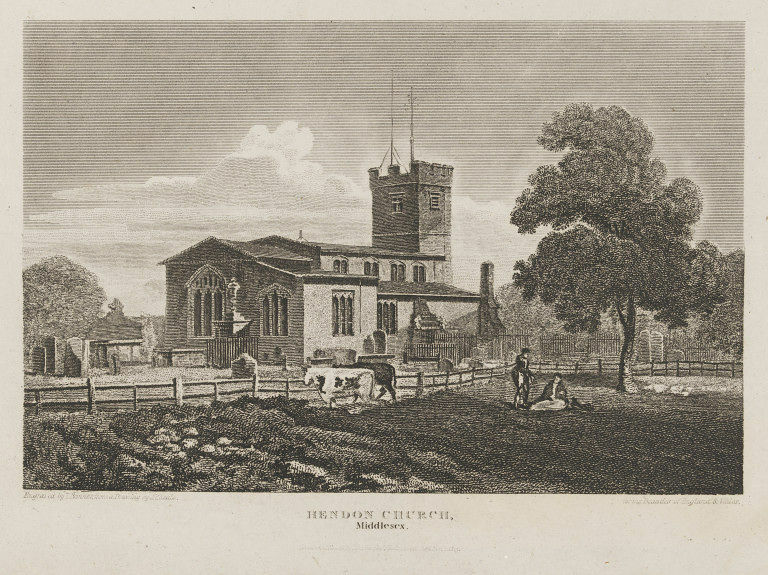 “Tomb of William Herbert,” Heritage Images. Leanda de Lisle says “The date is almost always given as the 21st but this is drawn from Commendone writing after the event. It was booked to take place on a Thursday (see Albert Feuillerat, Documents Relating to the Revels at Court, p 306) and when I calculated the day from other known dates – e.g. Jane’s entry to the Tower – it confirmed my suspicion that it was the 25th.” p 328 in Notes of “The Sisters Who Would be Queen”, by Leanda de Lisle.